Solid well-cared-for home on prime view lot in Connaught Heights. A small family could easily call this well-cared-for but dated house home. Good height basement. This house and property sits on the high north-east corner of London Street and 23rd Street. A second level or a new home on this site would have a commanding view from south-east to south-west over the Georgia Straight. Newer roof and furnace. Three piece washroom down. Very rent-able house to hold while you plan to build your dream home. Large view sundeck for entertaining in the summer. Double carport beneath sundeck. Walking distance to skytrain. 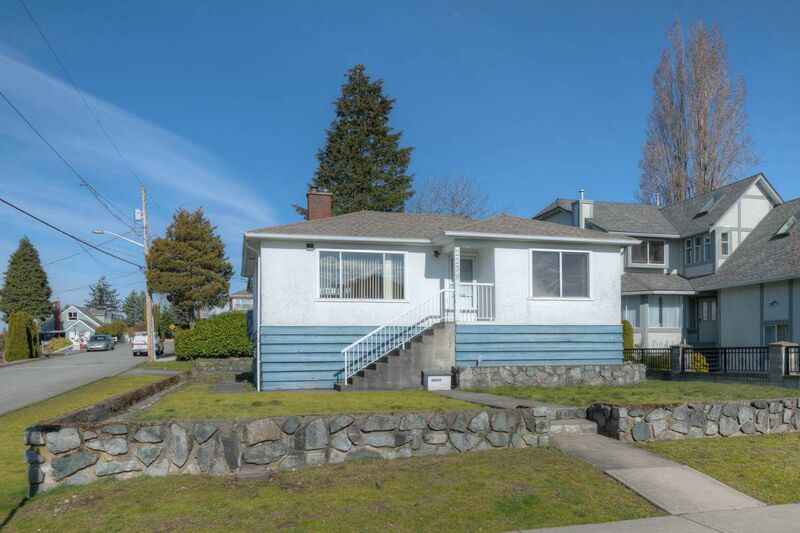 Easy access to Marine Way or Queensborough Bridge.